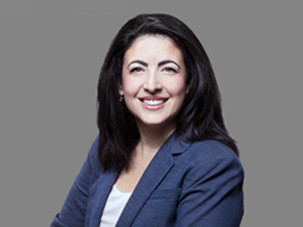 Theresa M. DiGuglielmo, Esq., is Senior Counsel to the firm’s Healthcare Department and Dental Practice Group, focusing primarily on regulatory and transactional matters. She received her Juris Doctor degree from Seton Hall University School of Law, where she concentrated her studies in Healthcare Law, was a Member of the Appellate Advocacy Moot Court Board and received recognition as Best Oralist in Appellate Advocacy. Following law school, Theresa served as Law Clerk to The Honorable George W. Parsons, Jr. in the Superior Court, Bergen County. During her Clerkship, she performed complex legal and scientific research and co-authored multiple judicial opinions in connection with a lengthy capital murder trial wherein the validity of DNA evidence was challenged — an experience she credits as sharpening her ability to research and understand the non-legal issues behind important legal questions. As a healthcare attorney, Theresa has enjoyed a varied practice with a special interest in legal issues affecting dentists and dental practices.